In international cricket, Asian teams like India, Sri Lanka, Pakistan have been known to be comfortable winning at home but very rarely in overseas conditions. This is basically for want of good fast bowlers who can exploit pace friendly pitches in Australia, England, South Africa and New Zealand. 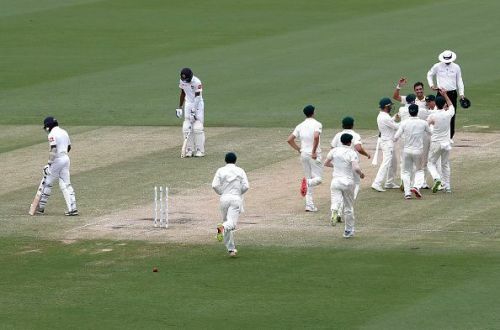 In 2019, things started changing as India won a Test series on Australian soil after January. This was quickly followed by Sri Lanka by winning their first ever Test series in South Africa on 23rd February 2019. Thus, creating the notion that the Asian countries are becoming a force to reckon with, even in overseas conditions. India became the first Asian Team to beat Australia in Australia. It was an amazing performance by a Virat Kohli led side who proved that they are a force to reckon with. 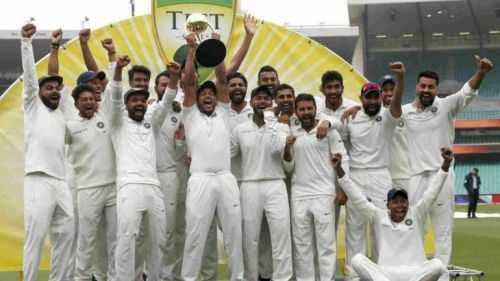 After losing a closely contested 3 match Test series in South Africa by 1-2, the Indian team took the lead by beating Australia by 31 runs at Adelaide in the first Test match they played. They lost the 2nd Test at Perth by 146 runs. But Indian team bounced back strongly to win the 3rd Test at Melbourne by 137 runs to take a 2-1 lead. In the fourth and final Test match, India showed a superb batting performance in the first innings to post a massive total of 622 for 7. Australia replied with 300 runs in the first innings and were asked to follow on. In the second innings, they were for 6 for 0 on day 4 and then rain interrupted the match for the post-tea session on fourth and entire fifth day saving the home team the humiliation of losing the match. Thus, India won the series by 2-1. The series win was an amazing performance by the Indian team who outplayed the Australian team in all departments. 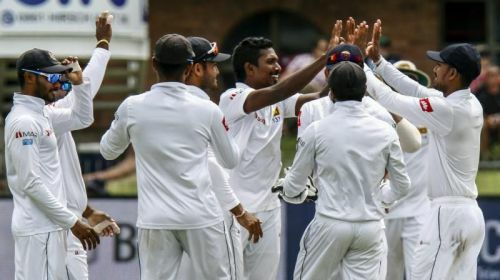 The Sri Lankan cricket Team did the unthinkable by becoming the first Asian side to win a Test series on South African soil on 23rd February 2019. After being smashed by England at home, losing series against New Zealand and Australia, the Sri Lankan team visited South Africa and proved their worth by whitewashing the strong Protean side in their home den. In the light of debacle of the Indian team’s loss of the 3 match Test series to South Africa by 1-2 in 2018 and Pakistan being whitewash 0-3 in 2019, the Sri Lankan feat is worthy of recognition. Sri Lanka defeated South Africa in a thriller by 1 wicket at Durban in the first Test thanks to Kusal Perera’s 153 not out. They chased 304 runs in the 2nd innings to win the match from the jaws of the defeating, putting on 78 runs for the last wicket. In the second Test match, South Africa batted first, scored 222. Sri Lanka scored only 158 runs. In the 2nd innings, South Africa was bowled cheaply for 128. Suranga Lakmal took 4 wickets and was well supported by Dhanjaya de Silva (3 wickets), and Kasun Rajitha (2 wickets), causing the most damage. Chasing the target of 197 runs, Sri Lanka scored the requisite runs losing only 2 wickets, thanks to Kusal Mendis' 84 not out Sri Lanka defeated South Africa by 8 wickets to whitewash the hosts 2-0. India and Sri Lanka have shown the way for Asian Teams to win Test series overseas. Teams like Pakistan and Bangladesh can follow the suit.